Meditation is often touted as a way to help you sleep better, but it can be difficult if you’ve already got trouble keeping your eyes closed. Many people new to meditation think of a “blank mind” as their ideal state, and their pursuit of that ideal can create a pressure that stifles many budding meditation practices. Luckily, meditation comes in many forms. Guided imagery and visualization are great techniques for newbies struggling to get through a meditation session. Visual cues can provide focus and structure, helping you proceed with more confidence. And if you’re already an experienced practitioner, augmenting your methods with imagery and visualization can make for an energizing new routine—perfect for days when you want a more active approach. Is guided imagery new to you? We’ve rounded up our favorite online resources to help you get started. Featuring contributions from different practitioners and regular insights from psychotherapist Belleruth Naparstek, this site serves as a supplement to Naparstek’s Health Journeys guided imagery audio series. You’ll find inspirational stories, suggestions for modifying meditation routines to cater to particular types of patients, and resources like guided meditations that you can stream. We like Naparstek’s recommendations for using guided imagery to work through specific issues, be it high blood pressure or wisdom tooth extraction. This is a great resource for practitioners who feel they might benefit from a dedicated coach. Imagery Connection provides weekly guided meditations that focus on visualization, as well as live webinars and a library of exercises that you can try on your own. It’s best for people who have at least a few months’ meditation experience and are committed to continuing their practice since most of the material requires a paid membership to access. 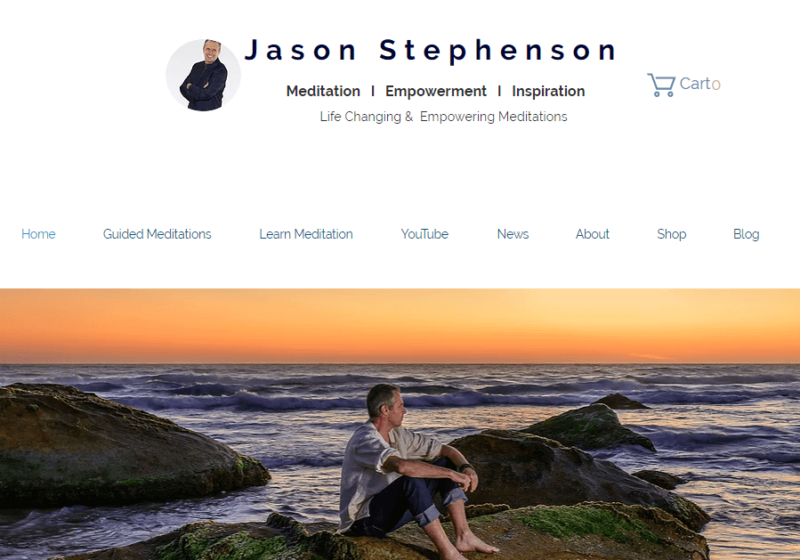 Jason Stephenson has been involved in meditation and relaxation-related work for more than a decade, and he brings that experience to his blog posts. Stephenson writes regularly about new techniques he’s learned, reflections and processes you can try, and various meditation-related concepts that you might not know about yet. 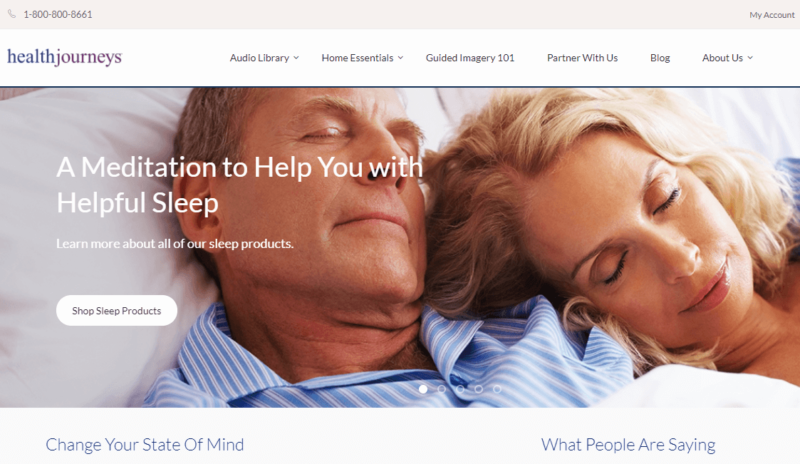 What we like most, though, is his collection of guided meditations, complete with ambient music, designed to help you sleep. This is a good, quick start if you want to use guided imagery specifically to address a troubled mind. Beth Haggett is an experienced personal and executive coach who uses visualization and guided imagery to help clients manage the stresses of their daily lives. Her site provides schedules for her Thrive! workshops, but for a lower-cost introduction, you can also check out the free guided imagery audio tracks available on the site. Sandy O’Neal is a hypnotherapist and life coach who uses visualization and guided imagery to help people manage stress and improve their overall wellness. 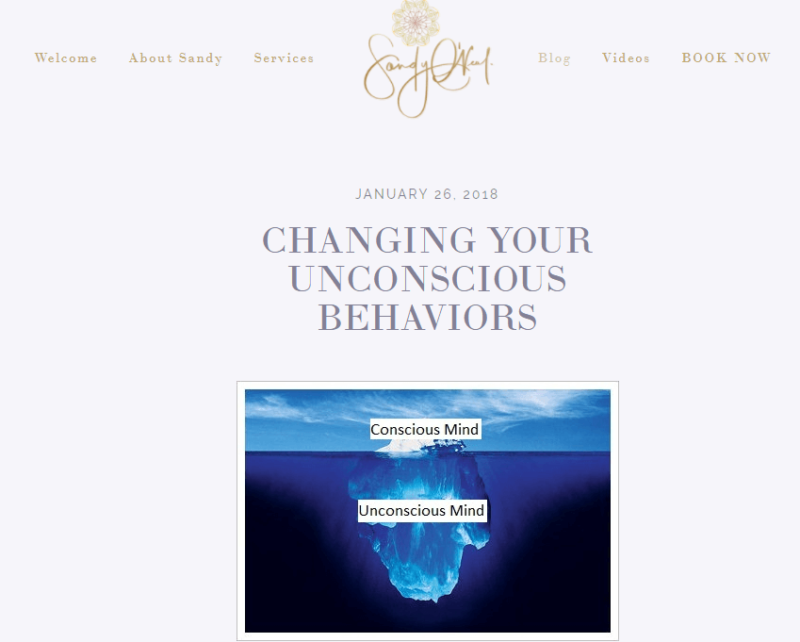 She combines tools like flower essence aromatherapy and sound therapy, so her blog is a great resource to try if you’re interested in engaging more of your senses during visualization meditation. Many of O’Neal’s approaches are tailored for pain and stress management, weight loss, anxiety reduction, and fertility challenges, so if these types of issues have been keeping you up at night, O’Neal is a good first stop. 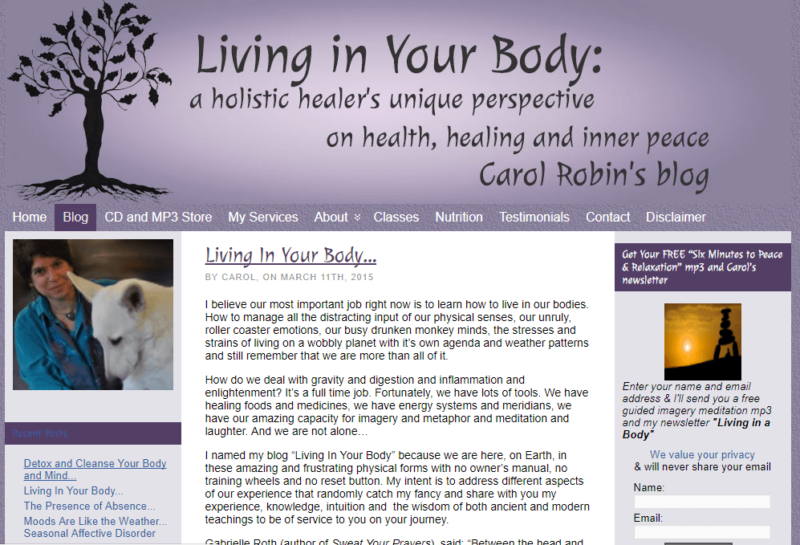 Carol Robin is a chiropractor and nutritionist who now specializes in body alignment and meditation. Like O’Neal, Robin advocates a “holistic” approach, where guided imagery and visualization meditation serve as tools to improve your overall wellbeing. Robin’s approach has more of a clinical bent, though: her resources emphasize guided imagery meditation’s therapeutic uses for people with various medical conditions. Her blog isn’t currently active, but it’s a rich repository of posts on using meditation to cope with ailments ranging from colds to broken bones. Beth Freschi is a relaxation and life coach specializing in guided relaxation. Unlike O’Neal and Robin, Freschi’s main specialty is relaxation: how to achieve and sustain it. Her relaxation training program uses a combination of relaxation techniques such as breathing, muscle relaxation, guided imagery, and loving kindness meditation. You’ll find a lot of guided routines and recordings that engage different senses like sight and hearing. 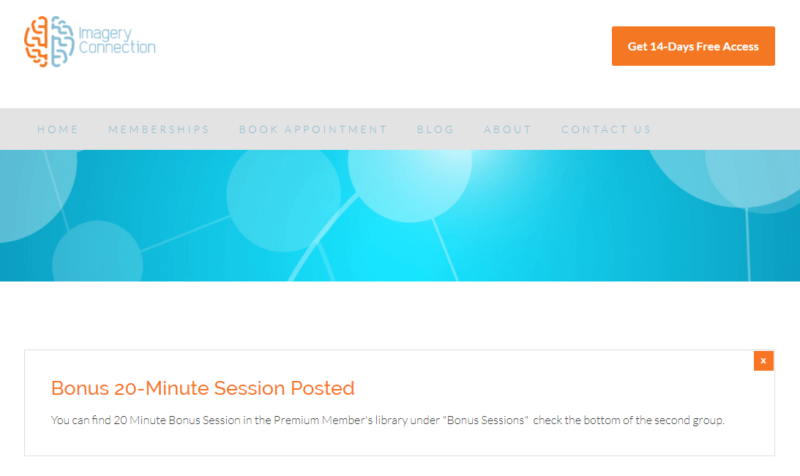 As Freschi notes, these recordings use the same formats as her in-person coaching and guided relaxation sessions, so her site is worth checking out if you want a dedicated coach. 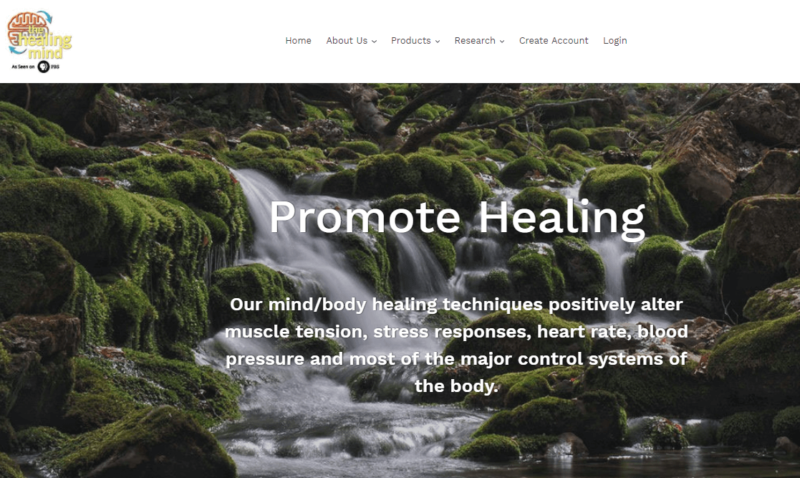 Dr. Rossman is one of the most vocal advocates for using guided imagery as a self-healing technique. We’ve linked to his main site, where he offers guided programs crafted with the help of like-minded physicians, but he also has a lot of articles that you can check out all over the web. He’s written a series in the Huffington Post, for example, where he digs into imagery’s ability to address issues like disaster stress, work strain, and so on. You can also find his work on popular meditation blogs like the Daily Om. Though not specifically dedicated to guided imagery and visualization, Meditation Oasis is a great resource. Why? We like that it offers apps, a podcast, downloadable mp3s, and even CDs, so you can choose how to incorporate their guided meditations into your visualization practice. 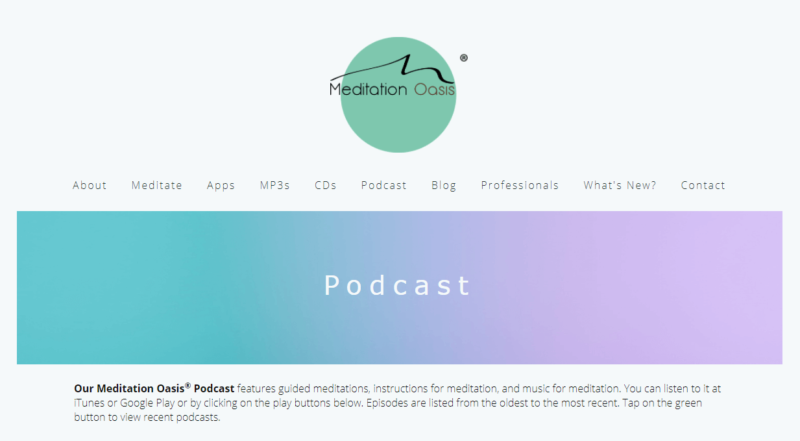 Meditation Oasis puts some emphasis on active techniques like walking meditation, so if you’d like a more engaging practice, Meditation Oasis’ materials can be a valuable help. 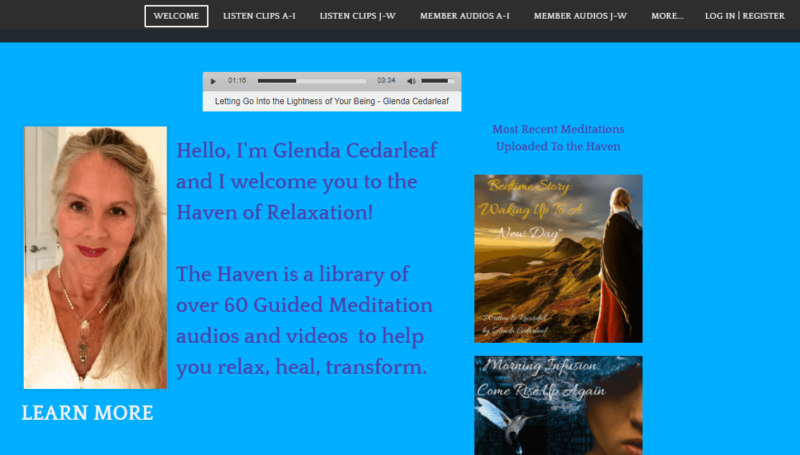 Meditation Oasis is also included in our Top Meditation Blogs. This is not the best-looking website, but it is full of guided meditation resources to help you get started. If you’re familiar with the meditation apps Guided Mind and Insight Timer, you might’ve already heard Glenda Cedarleaf’s voice. Here, she offers visitors more than 60 audio tracks that take listeners through a full meditation session. Cedarleaf doesn’t label her approach as visualization meditation or guided imagery, but the bulk of her guided sessions do employ visualization techniques like walking listeners through an imaginary orchard or meadow. 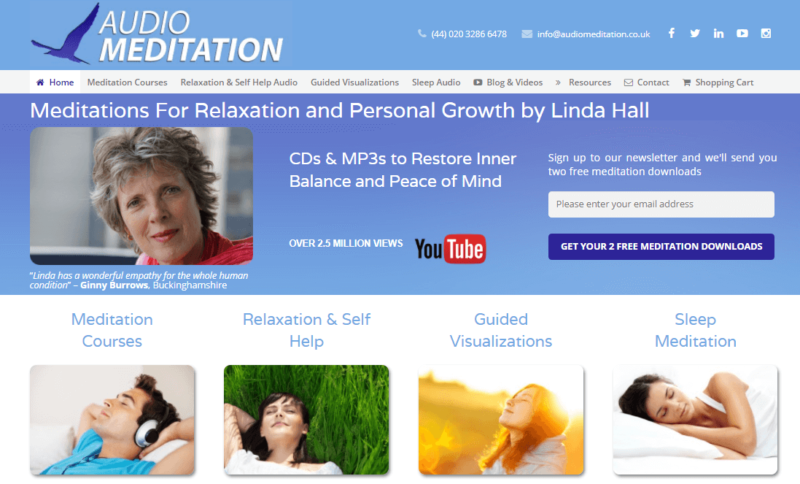 This website is run by Linda Hall, a meditation teacher and personal development coach. Hall’s experience revolves around using meditation techniques to address chronic fatigue and other ailments like fibromyalgia. Hall provides lots of guided meditation audio tracks, and we like that her focus is on relaxation, sleep, and ameliorating exhaustion. Her blog features “meditation scripts” that you can use to structure your practice, as well as free videos and music for use in visualization meditation sessions. If you’d like an online community and live coaching for your meditation sessions, Sahaja Online is a wonderful low-cost option. 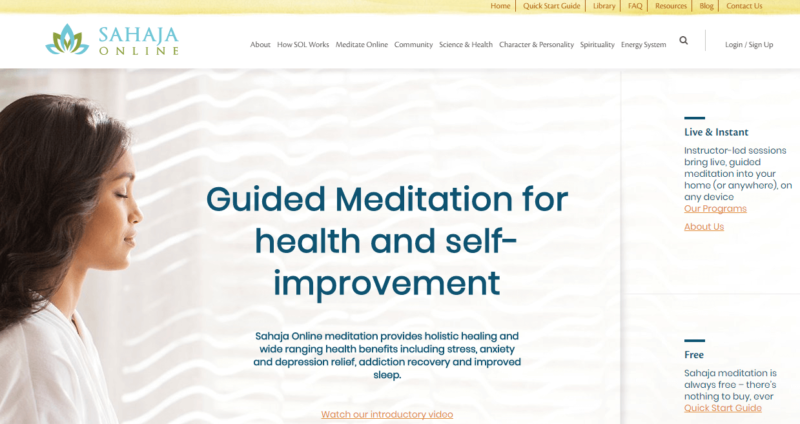 Sahaja offers livestreamed guided meditation programs that you can join at your leisure, as well as one-on-one consultations with expert coaches (through email or chat) if you need it. Sahaja Online offers a variety of meditation methods, but its core program uses a visualization-heavy technique that revolves around envisioning and activating energy streams within your body. If you’re the type who thrives with group classes and live feedback, this is one of the best places to start. 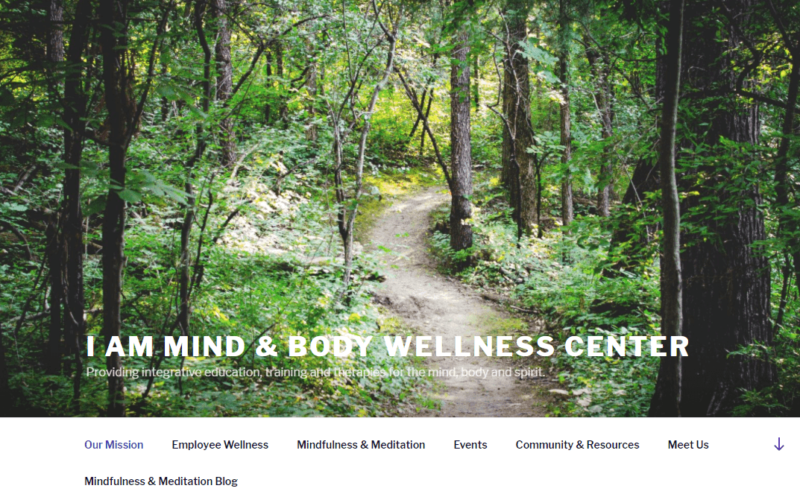 This is the virtual home of the I AM Mind and Body Wellness Center, which was founded by a group of physicians, counselors, and other specialists. The Center advocates meditation and related practices as tools for achieving holistic well-being, and its founding meditation partner, Elizabeth Garrison, specializes in guided imagery meditation. Check out their blog for regular tips on creating an environment more conducive to meditation practice, setting intentions, and using guided imagery to reduce tension and anxiety.